He was a USPTA Coach Certified-P2 in US. French Tennis Federation Coach Certified (France) – Level 1. 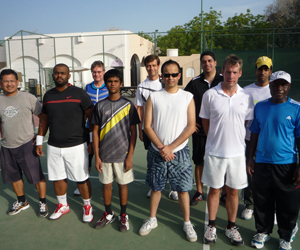 ITF Middle East Coaching workshop Assistant (level 1, 2). A former Coach for Cedar Spring Health, Racquet & Sport Club and Tyandaga Tennis Club (Canada, Burlington, Ontario). He was a head coach at The Tennis School Academy and a Specialist in Tennis Strokes Analysis at Dartfish.